Belgrade Fund for Political Excellence team, together with the UNDP office, which is the lead of the project, on April 05 and 06 gathered the selected RAD Academy Alumni and young professionals, decision makers, activists and representatives of civil sectors from four countries within the thematic conversation. 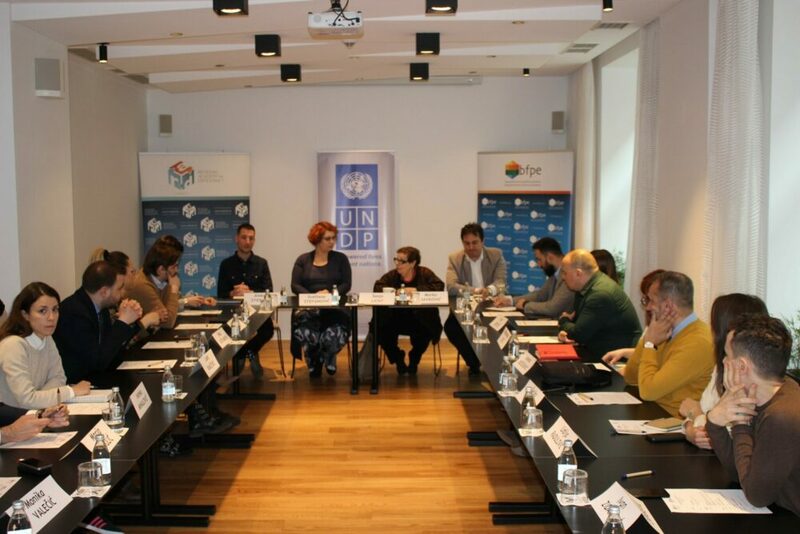 The regional project The Dialogue for the Future is aimed at strengthening the dialogue and social cohesion of young people in / between Bosnia and Herzegovina, Montenegro, Croatia and Serbia, and is implemented by UN agencies in these four countries – UNDP, UNICEF and UNESCO. Sonja Licht, President of the Belgrade Fund for Political Excellence, opened the event with the message to the participants that it was time to stop living in the past, and that it’s right time to change and engage, strengthen our fellowship and create our common future. The time we live in is challenging and we are not aware of how much time is changing, so young people play a key role in building the future. Their active engagement and innovative approach will contribute to building a new approach that can be used in the future. Program director of the Belgrade Fund for Political Excellence, Marko Savković, reminded that skepticism is still very much present in the region, that energy is falling and that the region is constantly looking forward to better results. It is important that we begin to foster love for the region and accept it as our own. 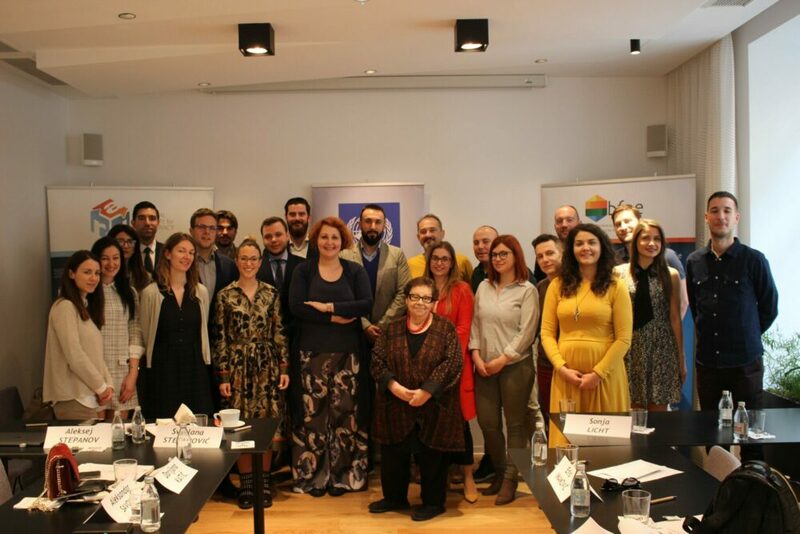 Svetlana Stefanovic, Program Coordinator, then presented the project, as well as the activities that will be carried out over the next 15 months, which will involve and connect young people in the region and empower young decision makers to proactively face the challenges facing the region. After complimentary talks, the participants, through group discussion, worked together on defining the causes of the problems, the consequences that young people face, as well as possible solutions and ways to deal with problems. The participants of the event contributed to further development of topics, as well as project activities, in order to achieve the goal in the most efficient way. Aleksej Stepanov, a youth activist, moderated the thematic discussions and workshops. 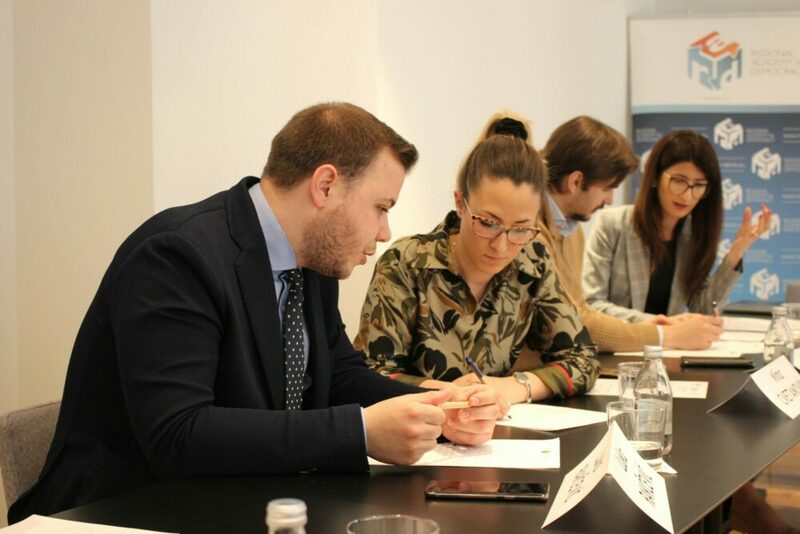 The aim of the project is to contribute to the creation of conditions for the development of the relationship and a better future of the Western Balkans region, with a special focus on the needs and importance of the role of young people as a necessary element for a stable process focused on the future of cooperation in the region. 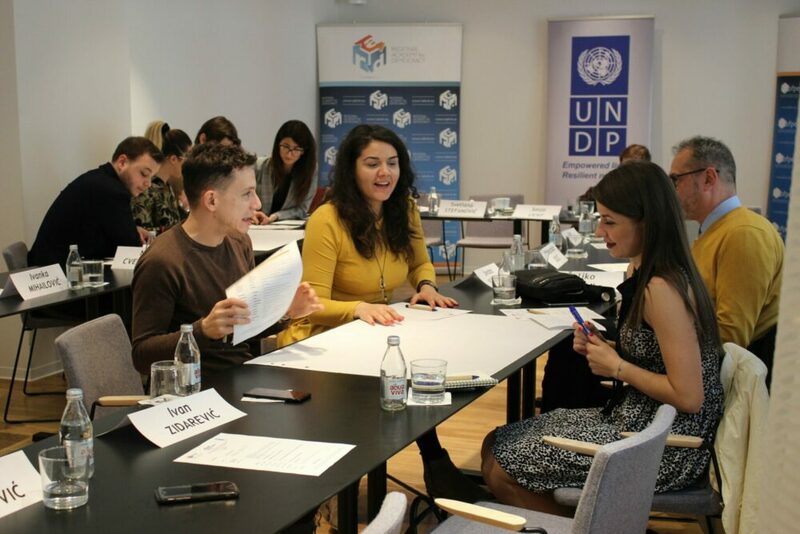 BFPE, supported by the UNDP, will carry out a series of activities aimed towards youth, young decision makers, professionals, activists, entrepreneurs who will work together on the exchange of knowledge and gain experience to open the space for a new approach towards construction of trust in the region.